Air pollution caused by fuel burning contributes to respiratory impairments that may lead to death. We aimed to investigate the effects of biodiesel (DB) burning in mouse lungs. DB particulate matter was collected from the exhaust pipes of a bus engine. Mice were treated with 250 μg or 1000 μg of DB particulate matter by intranasal instillation over 5 consecutive days. We demonstrated that DB particulate matter penetrated the lung in the 250-μg and 1000-μg groups. In addition, the DB particulate matter number in pulmonary parenchyma was 175-fold higher in the 250-μg group and 300-fold higher in the 1000-μg group compared to control mice. The instillation of DB particulate matter increased the macrophage number and protein levels of TNF-alpha in murine lungs. DB particulate matter enhanced ROS production in both exposed groups and the malondialdehyde levels compared to the control group. The protein expression levels of Nrf2, p-NF-kB, and HO-1 were higher in the 250-μg group and lower in the 1000-μg group than in control mice and the 250-μg group. 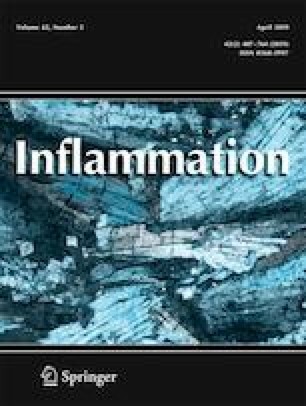 In conclusion, DB particulate matter instillation promotes oxidative stress by activating the Nrf2/HO-1 and inflammation by p-NF-kB/TNF-alpha pathways. This study was supported by the Carlos Chagas Filho Foundation for Research Support in the State of Rio de Janeiro (FAPERJ, grants E-26/103.184/2011 and E-26/110.294/2014) and Brazilian Council for Scientific and Technological Development (CNPq, grants 300531/2012-5 and 470495/2012-0).